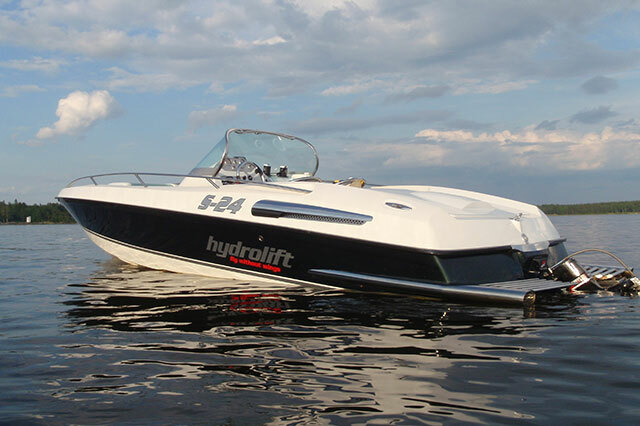 Sports cuddies, weekenders, overnighters and day cruisers: a guide to the compact, cabin-equipped, family sports boat. ‘What is a sports cuddy?’ I hear you ask. 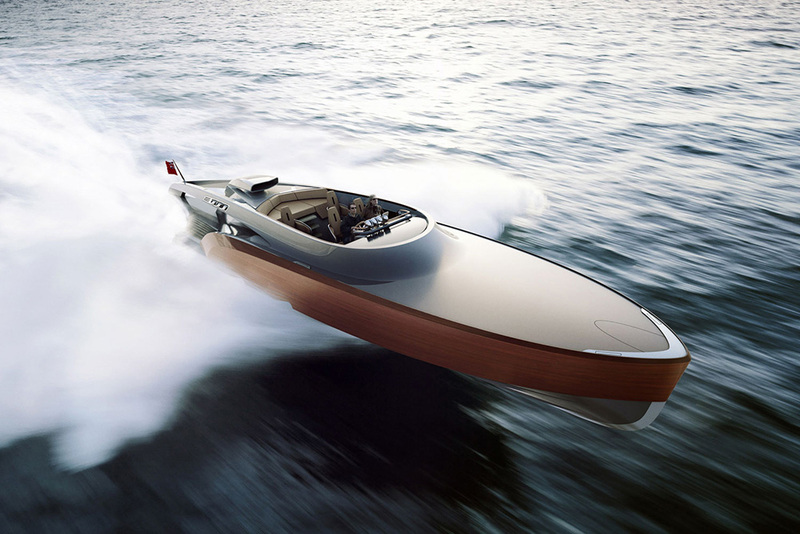 Well the term ‘cuddy’ can be used to refer either to a two-berth cabin in the bow of a compact sports boat; or to the type of boat on which you would find such sleeping provision. 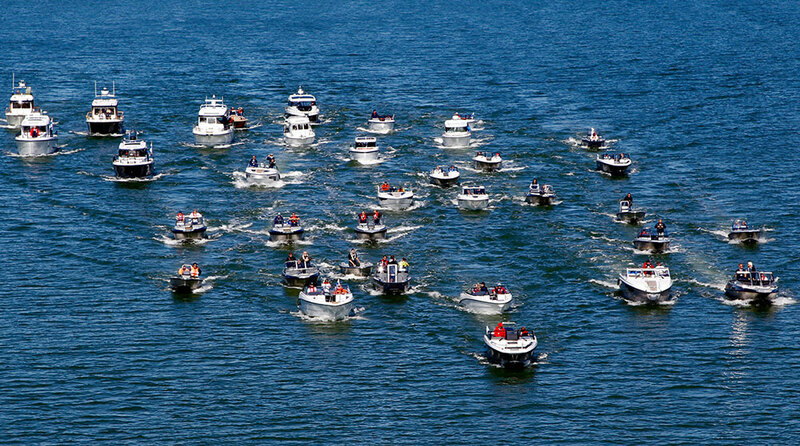 However, it’s also a qualifying term, because a cuddy cabin is usually too small and too limited to provide the traditional cruise boating assets of standing headroom, an integrated lower galley, a communal seating area or a separate heads compartment. 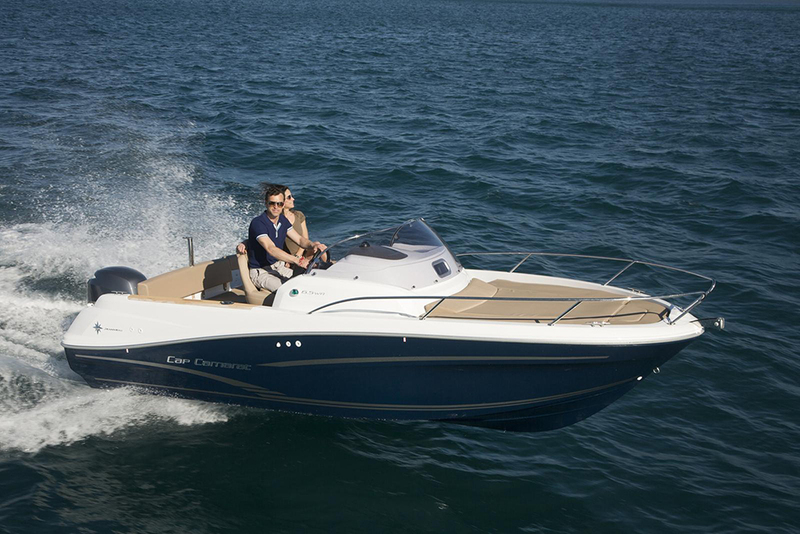 Instead, therefore, a cuddy is best viewed as a boat that straddles the gap between an open day boat and a small sports cruiser – and while it is generally less effective in both regards than its more specialised siblings, its hybrid status has spawned a whole range of more descriptive (and probably more useful) names like ‘Weekender’, ‘Overnighter’ and ‘Day Cruiser’. The classical Scandinavian style is what most people think about as a sports cuddy. On the very smallest cuddy platforms, for instance, you often see an offset helm console, with the cabin access in the centre of the boat to preserve a little deck space on one side for an open walkway between bow and cockpit. In addition to improving freedom of movement, that enables the bow to carry out a dual purpose. With a much flatter, lower, more deepset foredeck, you get the luxury of forward sunbathing platforms, seats or sun loungers; and while that obviously forces the cabin to sacrifice some of its vertical elevation, a largely unchanged horizontal footprint means that it is still able to serve as a place for two people to get their heads down. As the length (and more crucially, the beam) increases, that offset console often shifts to the centre, enabling the creation of walkways on both sides. 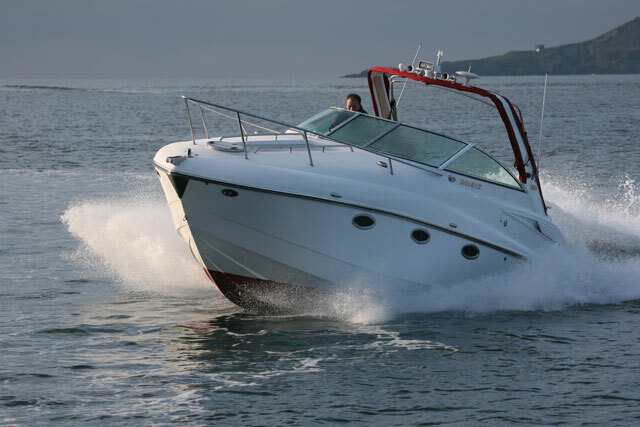 But either way, the market’s various ‘Sun Deck’ models illustrate that, while the internal demands of small cruisers often make them appear very bulbous and inelegant, as though they’re on the cusp of bursting at the seams, a less traditional cuddy from the likes of Beneteau or Quicksilver offers a much more useable bow and a much more streamlined appearance without sacrificing the overnighting ability. It is, of course, always necessary to use some form of moulded elevation forward of the helm in order to generate the necessary space for a double berth down below, but never has there been a greater choice of design interpretations. 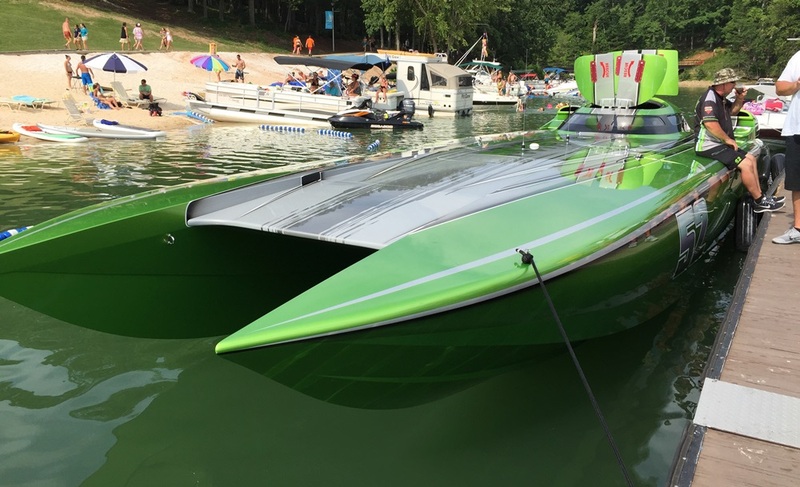 Outboard power and an offset helm console can bring big rewards on a small platform. Plainly, a cuddy cabin is bound to be small, but it doesn’t have to feel like a dark, claustrophobic pit. Overhead skylights and proper hull windows make a big difference to a compact cabin; and on some cuddies you also get opaque panels set into the dash top to introduce additional light. It is always best if the sliding access door comes with a curved overhead section to help generate better access and standing headroom. And if that door is also built from an opaque material, the cabin becomes significantly brighter. However, you should also pay major attention to the fit-out. Look for clean, modern edges, subtle, pattern-free fabrics, low-profile cushions and pale wood finishes. Avoid an excess of fabrics, dark colours and pronounced patterns. A small cabin can be improved with modest colours, good light and clean contours. 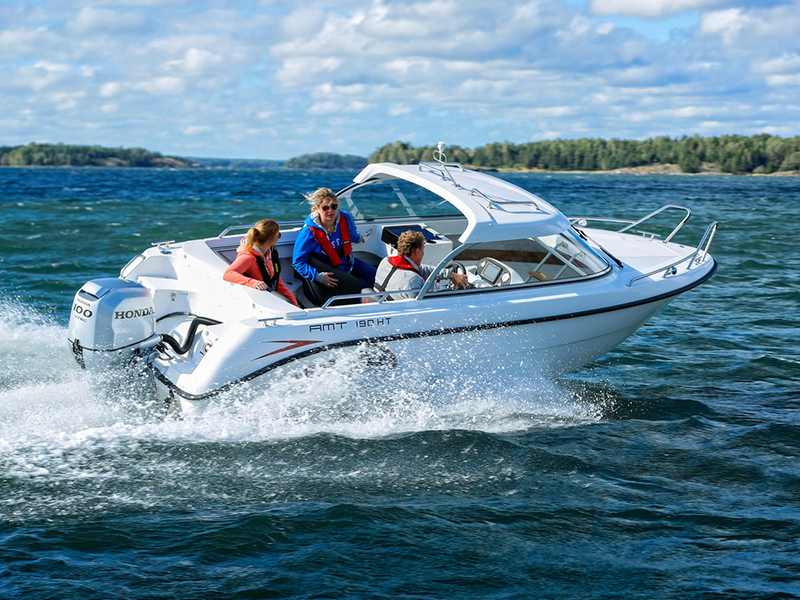 While there are those who swear by the cruising economy, the reliability and the performance-friendly weight distribution of an inboard diesel engine, most true cuddies derive a lot of practical benefits from outboard propulsion. 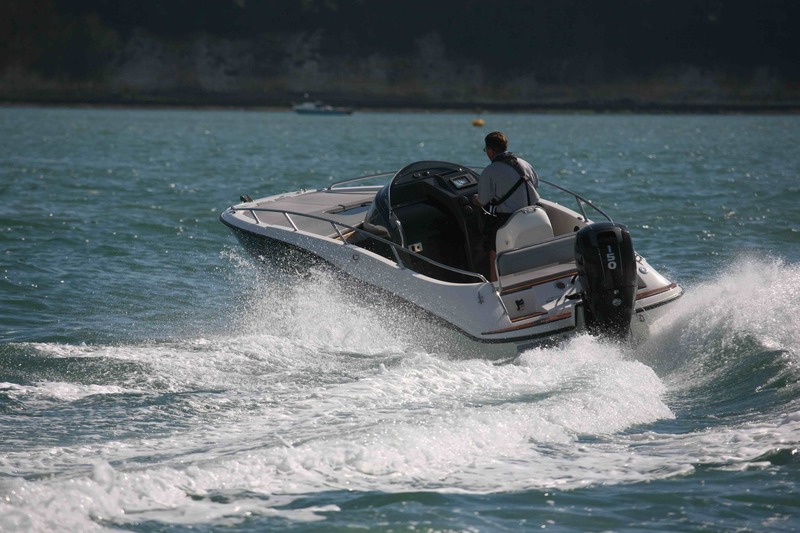 The extra forward mouldings are a useful counterbalance for the shifting of the engine’s weight aft and above the transom; and the additional storage created by the absence of an inboard engine means you can keep the cuddy cabin free for its intended usage without cluttering it up. If you can afford it (and the decision doesn’t involve excessive weight penalties), you should also explore the upper echelons of the power rating. 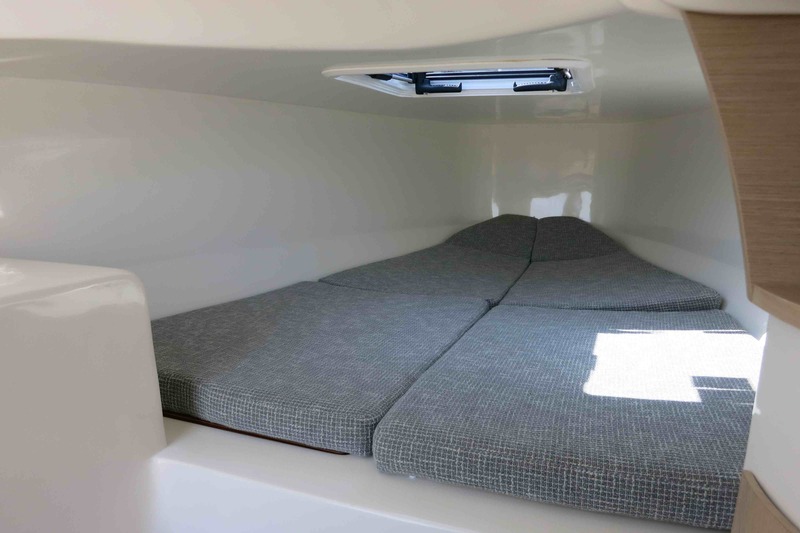 Not only will this help mitigate the extra bulk of the forward cabin, but it will also upgrade your helming experience and keep the full range of towed watersports well within reach. With a wetbar, convertible seating and an overhead canvas, the cockpit is often required to provide what the cabin lacks. 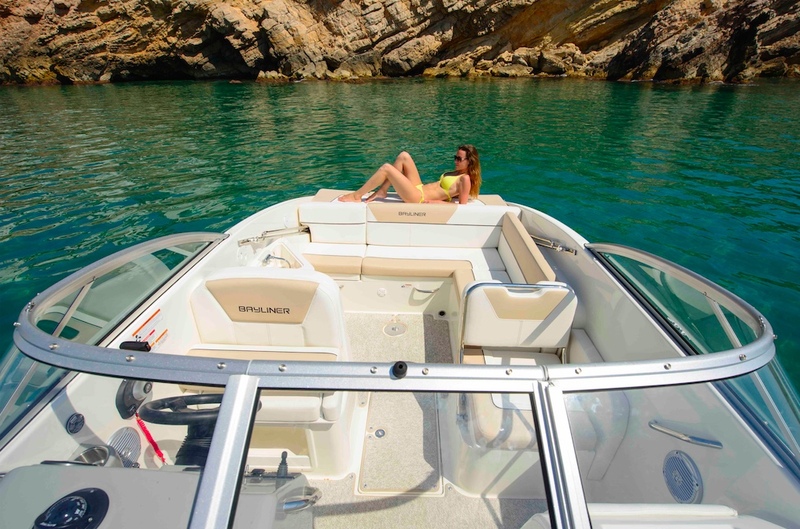 The scanty cruising features of most standard cuddy packages doesn’t mean you can’t get creative with your options and accessories. On the contrary, while plenty will come with the option of a compact galley up in the cockpit, you can easily add a camping stove to even the smallest boat, plus a cushion-topped coolbox to increase seating capacity, upgrade storage and keep your food and drink cold and fresh for an entire weekend without the need for shore power or an uprated domestic battery arrangement. The inclusion of a Porta Potti beneath the bed or under the access steps to the cabin makes huge sense for a weekend away; and if you add a full cushion set to convert your cockpit dining station or your aft bench into a secondary double berth (plus an all-over cockpit cover with full standing headroom), you also provide yourself with a proper undercover dining area and a secondary camping-style sleeping space. Of course, these tweaks won’t turn your cuddy into an authentic cruiser, but if you’re clever, you can add most of the basic practicalities of a compact cruiser, without the additional weight, expense or windage. 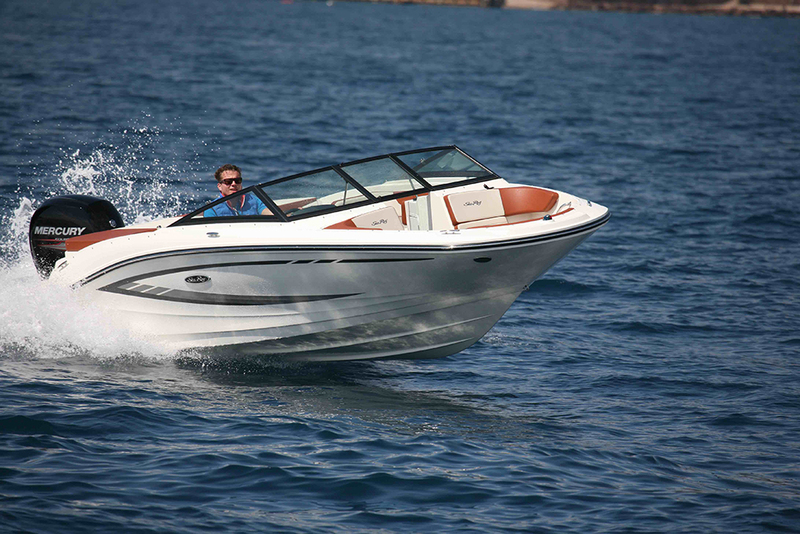 Done right, a good sports cuddy combines overnighting ability with an authentic sports boating experience. So do we know what it is yet? 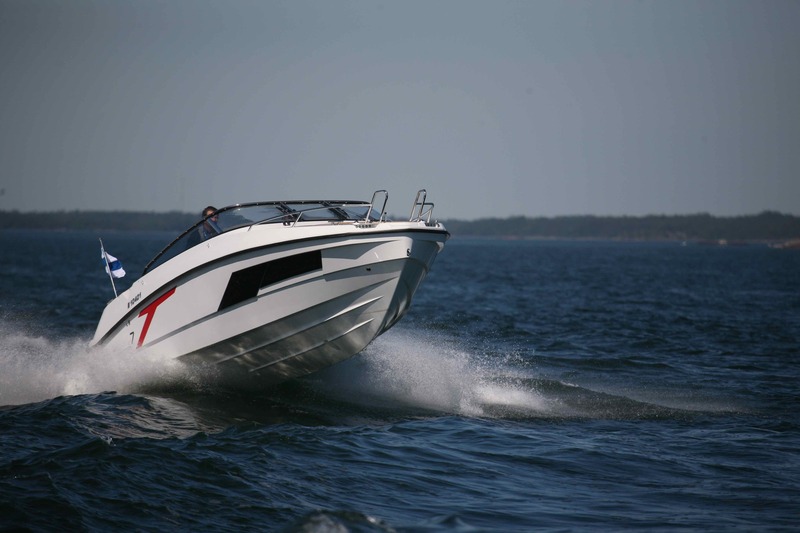 A cuddy powerboat is not just a compact cruiser with flawed accommodation; and neither is it an overweight day boat with a letter-slot sleeping space hollowed out beneath the foredeck. 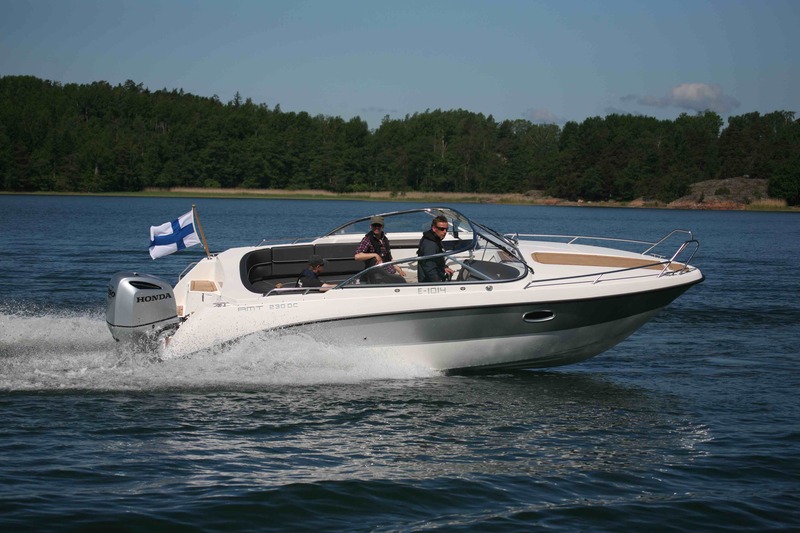 At its best, it’s a towable family boat, an engaging driver’s boat and a weekending companion with a sensible purchase price and manageable running costs - and that makes it one of the most versatile and high-value leisure boating solutions on the modern market. For some of the best new sports cuddles around, see Ten top cuddies.